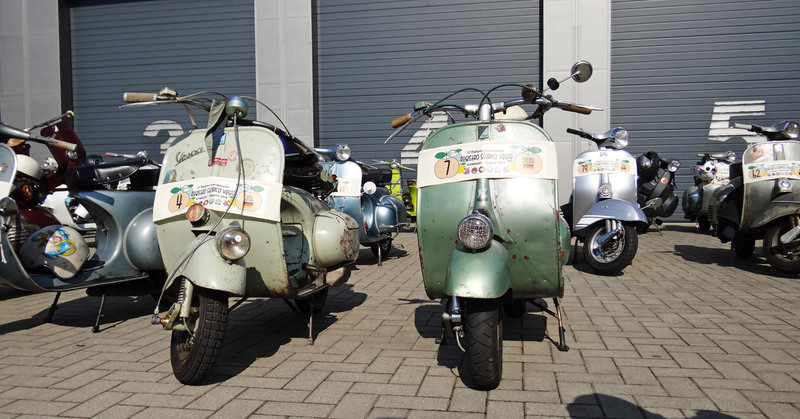 Saturday Il Registro Storico Vespa paid BBT a visit on our annual European tour that was driven this year in Belgium… Almost 120 Vespa drove around 11.00 o clock on our parking lots and they filled up quickly! 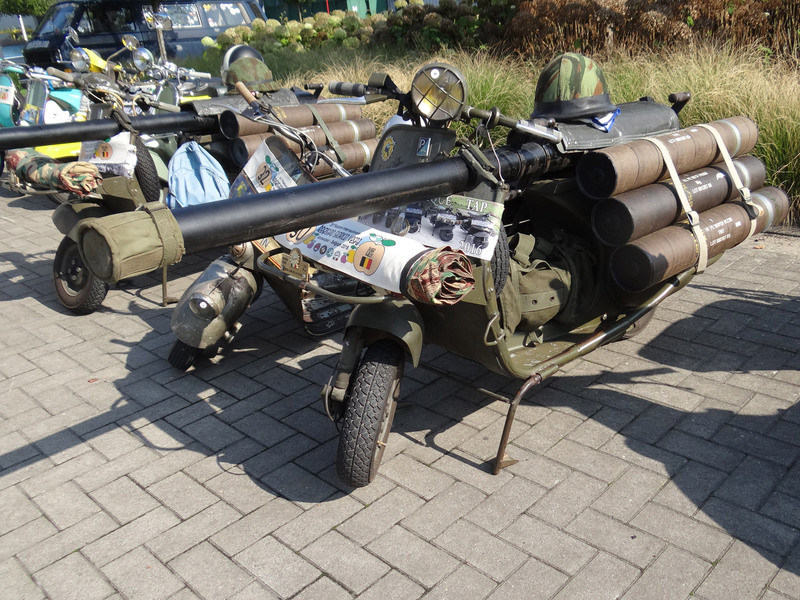 With participants from about all over Europe we had quiet an international visit! Impressive and different that was it for sure! 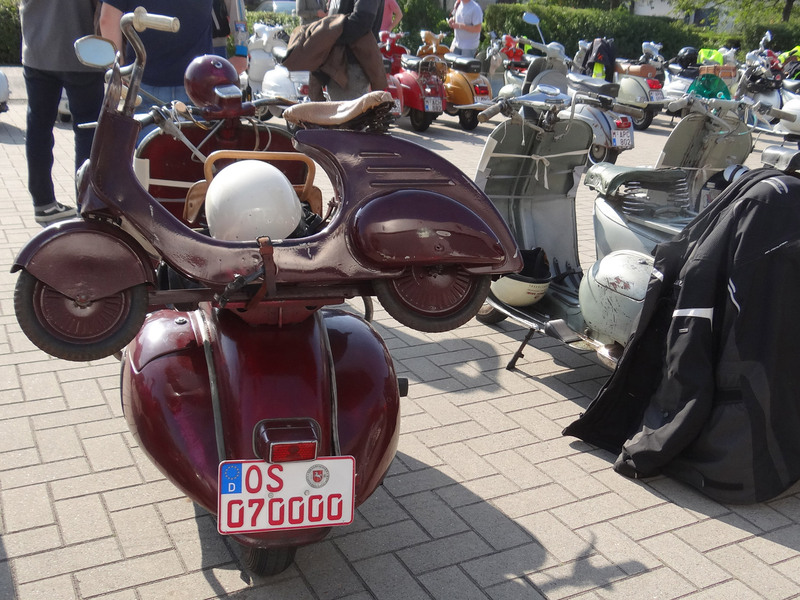 With a real vespa pedal scooter on the back, all teh way from Germany! 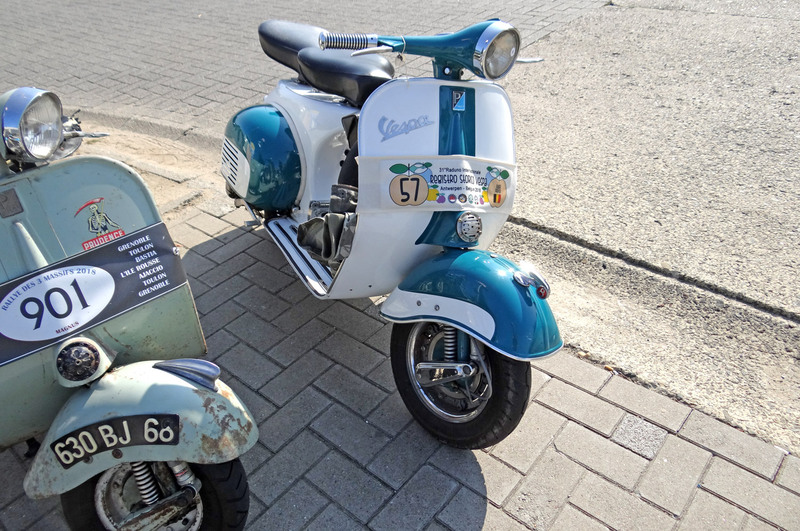 See all these nice pieces of Italian machinery leaving BBT! Click on the movie below! MASSIVE!! 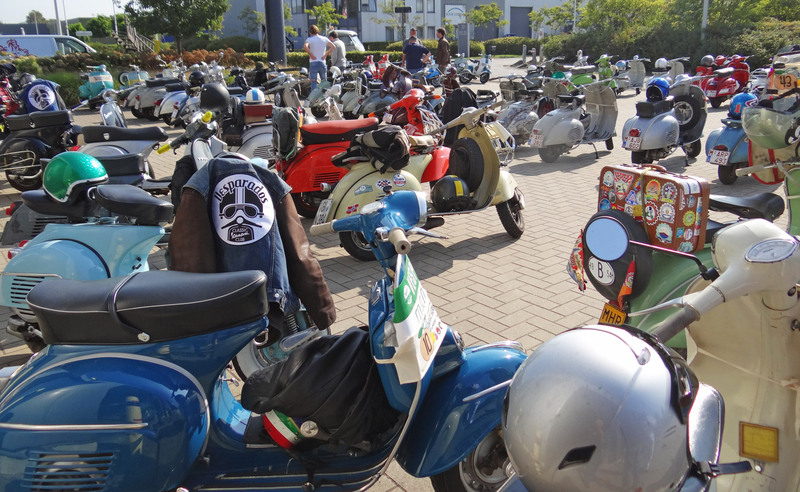 Thank You for your visit Vespa drivers! You’re a great group of people!! we had lots of fun showing You around! !